I mentioned the other day that my comment count was getting close to 2500, and we didn't break that over the weekend, so let's talk about something interesting and see if we can get there. Let's talk politics and guilt by association. This weekend brought disturbing charges from Sarah Palin about Barack Obama. I am right up front with my support for Obama; just look at my sidebar. Take me with a grain of salt, if you will. ticket-mate echoed the line at three separate events Saturday. Okay. When people hear the word "terrorists," deliberately used in the plural, do they think of this guy? 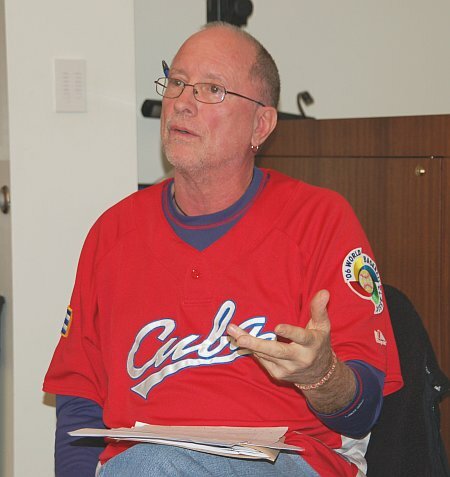 Bill Ayers, late of the Weather Underground, college professor, no doubt depressed Cubs fan: he lives in Obama's neighborhood; they served on a board together; in the mid-90s he held a "meet the candidate" event for Obama at his house when Obama ran for State Senate. I must admit that my double major in History left me knowing more about the French Revolution than the 1960s. Like Obama, I was born in 1961 and was 8 when Weatherman Bill Ayers took action. Just to be clear, I'm not in favor of violent protests of any kind. Stories, when repeated, tend to become "true" in people's minds. There are many, many people who still believe Obama is not a Christian. Um, excuse me. He is in my denomination!! Let me tell you a story. Yesterday Light Princess and I took the dogs to Posh Neighboring Town Nature Preserve, our favorite Sunday afternoon walk. On the way there we passed a couple walking in the road, despite the fact that there is a bike and walking path to use. How obnoxious, I thought, as I swerved into the oncoming lane to avoid them. And then, I recognized her. The woman in the street and I had served on a non-profit board together. She hosted a number of events for the board at her posh (naturally) waterfront home. I attended these events, as well as many board meetings, and spent a fair amount of time in her presence. Certainly if we saw each other in public, I would speak to her. We both belong to UCC churches, though her politics are nowhere near mine, nor is her theology. A few years ago she made a choice to take an illegal U-turn on the highway near Posh Neighboring Town at twilight on a late autumn afternoon, after realizing she had gotten on the highway in the wrong direction. She drove on to ..her destination, while behind her in the northbound lane cars rammed into each other after trying not to hit her. Thank God, no one was killed, but a number of people were injured, including hospitalization, and cars were totaled. If you looked at my biography and hers, you would find several points of contact, but if you wanted to make a case that we were pals, where would you look? I'm serious. When I was on that board, she sent me Christmas cards. One year she included the CD she was in a hurry to get to the studio and finish recording on the day of the car accident. We are not pals. We are not like-minded, with the exception of our support for one ecumenical, non-profit organization. I denounce her driving record, and I am not kidding about that. Now, readers, is there someone in your circle of acquaintances with whom you would not choose to associate yourself who someone else might try to describe as your "pal?" Next postWe have a winner! Two, even! Hum! I’ll be pondering this on my way to work and come back to comment. For now, a question: why was that woman walking in the street? Is she just THAT.SELFISH? or is there something…wrong? She was walking to her husband’s right. He was in the middle of the bike/walking path and she edged over into the road. If any of us had to examine everything ever done by anyone with whom we served on a board, PTA, or attended a meeting with in order to not be tagged as a pal, co-conspirator, or worse, none of us would bother to be involved! What makes me even angrier than the charges from the McCain/Palin campaign is that media outlets like CNN make money by repeating those charges. They get to charge advertisers whether or not they do their job as journalists with fact-checking. And they know full well that inflammatory (scurrilous, nonsensical) charge draw in more viewers. More viewers = more money. Why should they care about facts? I protest the only way I can, by refusing to watch the damn channels. At least it won’t be my eyeballs offered up to poison the political process even further. I’m sure we ALL have someone though. And this guilt-by-association things is ludicrous. NPR pointed out this morning that this weekend Palin took on the “traditional” VP candidate role of being the attack dog. And Obama answered back by saying that candidates attacked when they had nothing new to say and were running out of time. I’d like to see CNN focus on that! I’ll have to look up the link later, but the first NYTimes article mentioning Bill Ayers last week said that he was pretty much “rehabilitated” and was well thought of in Chicago, fwiw. I am only heartened by the news that Obama is up in the polls. May that trend continue! Please tell me she has a criminal record to go along with that driving record. My kid has gone to two snotty private schools since he was in the fourth grade. I’ve volunteered alongside people I wouldn’t want to have in my house. Ditto and more so for people I volunteered with in youth sports. Most folks were great, but there were some real bad apples in there. Come to think of it, I went to church at the White House when Nixon was President. Does that make me an unindicted co-conspirator? Well, I once worked with someone who, about a month after he was fired, walked into city hall and shot his girlfriend to death. Later, I wrote him a few times because . . . well, because it was the Christlike thing to do. So I guess I’m pals with a murderer. And I marched in an anti-nuke demonstration once, so I’m sure I must have brushed elbows with someone really dangerous. This is the thing, I wouldn’t care if he was Obama’s “pal.” This man was allegedly involved in these acts DECADES ago. Obama was not. If Obama chooses to be friends (and from what I can tell they are friends on a superficial level only) with him now, does not mean he endorses the acts the man may have participated in in the past. I have a pretty good friend who has some extremely close ties to our current VP. Does that mean I endorse the war, or torture, or anything the VP has been involved with? No. Frankly she doesn’t either. My friend and I have nearly completely different political views, but we have other areas of our life with great commonality. I suppose some could say I lose my liberal cred because of my ties to her. However, I think life is a little more complicated. Did you see that Palin was bringing up Jeremiah Wright this morning? Yeah, but her minister is a private matter. When I was a student in the 1980s I visited East Germany for ten days. Does that make me a Communist? I was president of a Pax Christi chapter in grad school, and we held a (well attended) demonstration against the start of the first Gulf War. In a very conservative place. Then there’s the matter of hiring folks (in the contracting business) whose docs turn out not to be legit. You all better stay away from me. Last night my spouse was watching a whole show about Barack Obama and his dangerous terrorist ties on (where else) Fox. I was carefully not watching (reading) but I couldn’t help hearing some of it. But it is truly scary what is out there. They are supposed to be the “fair and balanced” network, and the Hannity/Colmes show has at least one liberal apologist. But this was Hannity all by himself: so there was no discussion or dissent. Clearly what he was saying was true! Right!? A year ago today, I marched in a peaceful protest led by non-violent American Indians the US government has placed on domestic terrorist lists simply because they’ve demanded that treaties be upheld and their rights protected. I am married to a man with whom I consistently do.not.agree concerning political matters. Some of his comments could be interpreted at non-Christian. Does that mean I am f&%#ing a heathen? towanda, that is making me sad. Sherry, I imagine that applies to more than one of us. And if that wasn’t the 2500th comment, it should have been. But you’re getting so close! As always, Palin grossly exaggerated a half-truth (at best!) in a desperate attempt to defame Obama and force him to defend himself against the outrageous claim. I’m just happy to hear that Obama didn’t take the bait – he only addressed it to point out that it’s a blatant attempt to shift public attention away from the issues, but he will continue talking about the issues. Not long ago, a Chicago radio station was debunking some of the more ridiculous political claims of the season, including that Obama was Muslim. Several callers responded saying Barack was a name mentioned in the Old Testament. 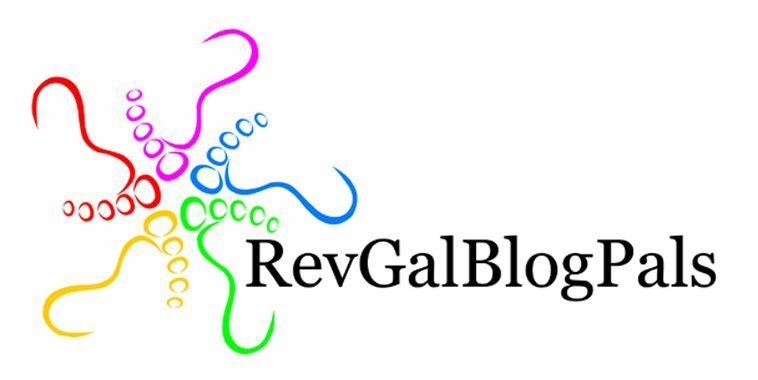 I’m not a RevGal, but I’d love to hear more about that – is it true? What is the Biblical Barack’s story? As for idiots walking in the street instead of the sidewalk – that’s epidemic in my town. I can understand why people might choose to walk in the street in winter, if sidewalks are icy. But in spring, summer and fall? Most of our offenders are age 9 to 35. One person or a group, they expect the cars to get out of their way. Well, I want to agree with what Lisa V said, also. Because, really, haven’t we all done some vastly stupid things that we would hate to have following us around 30 years later? Whether or not that’s so, really, do ALL social / educational programs work as planned? How about No Child Left Behind, hmmmmmm? I too was married to a heathen for 15 years. And now I’m not! Which is the worse sin? Right now I’m thinking about a student of mine, a student with whom I became friends. A victim of such incredible abuse when she was a child that I start shaking now just to think about it, she grew up to be a drug addict and, surprise, a highly negligent mother herself. While I knew her, her adult daughter murdered someone in a gratuitously violent way (again, drugs were involved). Her legal defense revolved around the negligence of my student and how she, the daughter, could not be expected to know the difference between right and wrong. My student, who had spent years at this point clean and sober, became the target of incredibly brutal attacks in the newspaper and media, and finally, physically, on her home and family. All this seems a little like Bill Ayers and the Weather Underground to me. I don’t mean to excuse anyone’s bad behavior, but do we or do we not believe in redemption? This is an honest question. Jesus ate with tax collectors and prostitutes, cleansed lepers, disputed with and ultimately healed–gasp–Syro-Phoenicians and their ilk. I guess we shouldn’t elect him president, then. Ooh, La Reina, Barak appears in a great story, about the prophetess Deborah, “who was leading Israel at this time.” Yes, that’s right, a woman leader of the chosen people! And Jael is in there too: definitely one of the memorable women in the Bible. It’s in Judges 4. You can find it at http://www.biblegateway.com or similar location. shameless ploy to be the magic comment. Palin gets scarier and scarier by the day. And at 8, was Obama even hanging around the guy? Does the group still exist? My husband (who as you know is diametrically opposed to me on most political issues) had a lifelong friend – a sort of Dutch uncle. The man was the worst kind of bigot you could imagine. I am sickened to even think about the things he would do and say (most of which I heard about second hand, but some in person). Would I like someone to connect me with him? no. At his funeral, was it generally acknowledged (though obliquely) what kind of a horrible old bigot he was? yes. Even though most of his family agreed with him on a lot of the things. So – Please don’t write me down on the same list as Poe-Boy! whoa! what happened to all the other comments!? I’m going to change the subject briefly by pointing you all to a picture of Barack Obama holding a knitter’s sock, which those of you who are devotees of the Yarn Harlot will appreciate. Who wouldn’t vote for this guy!!! Now I am leaving comments that don’t seem to be showing up. Help! help! Whoops. Now I understand. How embarrassing! I’m going to take my OCD little self away from here for now and do some real, actual work that they pay me for. I’ve just been watchign the BBC late news, which was mostly focussed on the miseries of the economy but did assert with some confidence that Obama is still well ahead. Here’s a good one for you. A few years ago, a man locally went to his soon to be ex-wife’s home, killed her parents, her sister, and their youngest child, kidnapped the other kids and fled. Law enforcement cornered him, and in order not to have to face the charges, he shot himself in the face, but aimed under his chin. He was admitted to our hospital, and we had to care for him. Hmmm… guess that means I am associated with a murderer, and I even helped him gosh darnnit (wink, wink). Mary Beth, thanks for pointing me towards Judges for the original Barack story! Odd… I posted and then it disappeared. A few years back, a man went to his soon to be ex-wife’s home, killed her parents and her sister, and their youngest child, then kidnapped the other kids and fled. When he was caught, he decided to shoot himself instead of face the charges, but put the gun under his chin (not very effective). Needless to say, he ended up in our hospital. So, I suppose I have been pals with a murderer seeing as how I even “helped” him. Woe is me. but i like the simpleton’s point about redemption. and am feeling very bad for his/her student, who was so horribly targeted for telling the truth.